Landlords have to do a great deal of work to ensure that their property management business runs in a smooth manner. There are a number of things that the landlord must take into account in order for his business to succeed. The following are some tips that can prove to be of great use to any landlord. It is extremely important for you to screen your tenants. Make sure that the person renting your property is capable of paying the rent and would keep it in a respectable shape. Moreover, it is also necessary to ensure that the tenant is trustworthy and won’t bring in undesirable friends who are involved in any kind of criminal activities. Some of the aspects that you need to check out before selecting your tenants include credit history, background and references. Using a well drafted rental agreement that covers all of the essential elements of their tenancy is of great value to a landlord. A rental agreement is a legal document signed by both you and your tenant. This agreement would include the rules of business between the two of you. This document contains clear guidelines on what you expect from the tenant while he/she is living in your rental property as well as the obligations that you have as their landlord. Doing the necessary repairs to the property is the obligation of the landlord. You must make sure that your property is properly maintained and does not cause any kind of harm to your tenant. If the repairs are not made in a timely manner then the tenant might have the right to withhold rent, move out without notice or even sue you for any injuries that might occur due to living in defective conditions. Just like maintenance and repair work, security of the rental property is also the responsibility of the landlord. You must take the necessary steps to ensure that your tenants remain safe from the threat of burglars and illegal activities. Proper lighting and trimmed landscaping are some inexpensive means through which you can secure your premises. Purchasing adequate property insurance is a must for a landlord. It will help in covering any damages caused to your property by natural disasters. In addition to property insurance, you must also purchase liability insurance as well to protect yourself from lawsuits filed by tenants for discrimination or injuries. 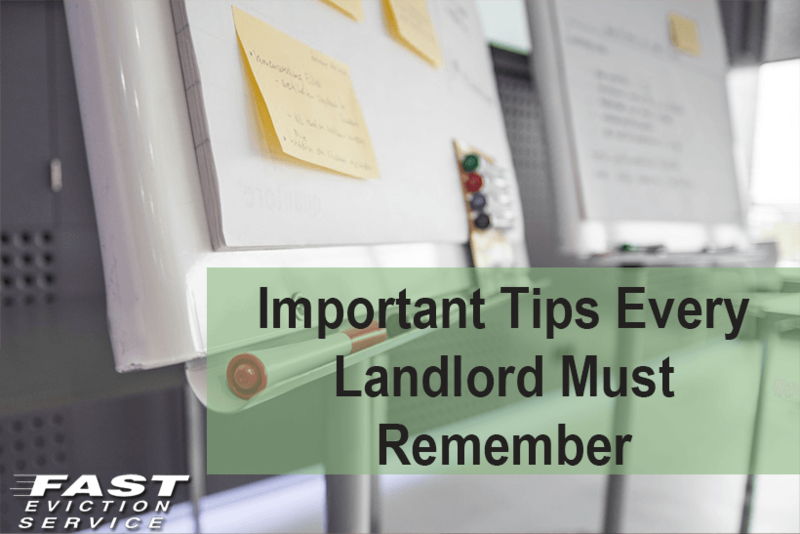 These are all important considerations to keep in mind to be certain you are successful landlord and your property and tenants are safe and protected.